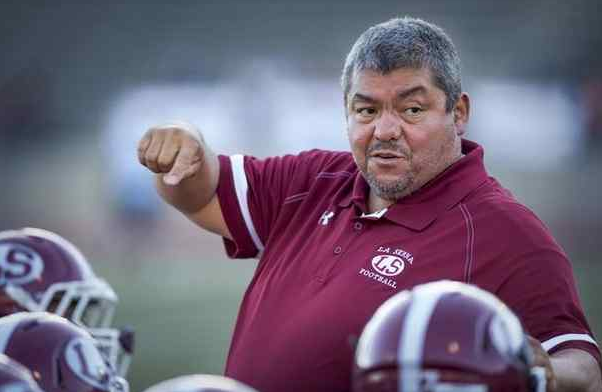 Prosecutor REJECTS case against ousted La Serna football coach Margarito Beltran … So … La Serna is gonna bring Coach Beltran back, right? RIGHT??? The District Attorney’s Office declined to file charges against a special education teacher and former football coach at La Serna High School who allegedly got into a physical confrontation with a special needs student, officials confirmed Wednesday. Shiara Davila-Morales, spokeswoman for the District Attorney’s Office, said the case was declined on Oct. 19 for insufficient evidence. The prosecutor didn’t charge Margarito Beltran Jr with misdemeanor cruelty to a child by inflicting injury. “Based on a review of all the available evidence, it appears that the physical encounter was initiated by the victim,” Deputy District Attorney Paul Minnetian wrote in the District Attorney Charge Evaluation Worksheet on the case. Beltran remains on paid administrative leave from the school. He didn’t return calls for comment on Wednesday. He was fired as the football coach in August for allegedly violating certain conditions placed on him when he was put on administrative leave. 1. 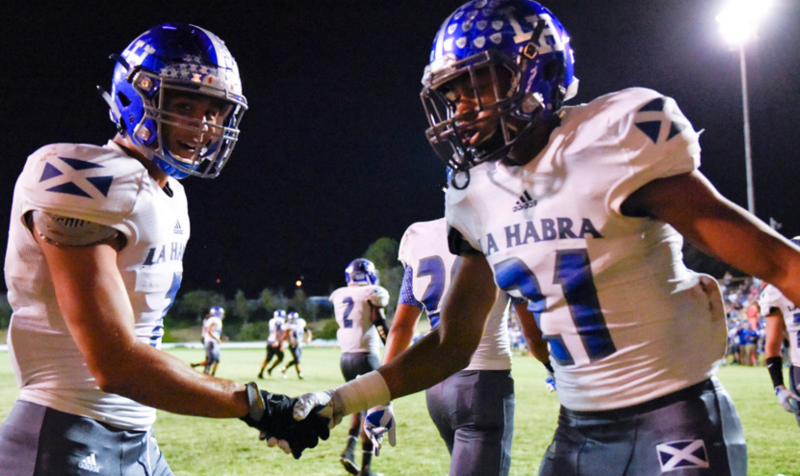 La Habra (7-1) — Defense has been nice surprise. 2. Bishop Amat (7-2) — Rooting for a Serra loss somehow. 3. Charter Oak (7-1) — Got quite the battle from Los Altos. 4. Glendora (7-1) — So much for that Ayala threat. 5. La Serna (6-2) — Lit up Cal for 60+. 6. La Mirada (5-3) — Mayfair game now looms large. 7. San Marino (8-0) — Ended South Pas’ dream season. 8. St. Francis (5-3) — Got much-needed win over Cathedral. 9. Montebello (7-1) — BG game lost a little luster. 10. Northview (7-1) — Looking a top-four seed in Mid-Valley. 11. Bonita (6-2) — South Hills win may get ‘Cats rolling. 12. Diamond Ranch (6-2) — Took out frustrations on Walnut. 13. West Covina (4-4) — Chino win was simply huge. 14. St. Paul (5-3) — Salesian validates season. 15. South Pasadena (7-1) — Played San Marino better than anyone. 16. Monrovia (5-3) — Had better watch out for South Pas. 17. San Dimas (5-3) — Need to beat Covina for playoff posturing. 18. Arcadia (5-3) — Might have been pooped out vs. Burbank. 19. Los Altos (4-4) — Showed lots in loss to CO.
20. Baldwin Park (5-3) — Are they a top-four seed in Mid-Valley? 21. Covina (6-2) — Colts can prove worth wih win over SD. 22. Arroyo (6-2) — Oh wow, the Knights are rolling again. 23. Rosemead (4-4) — Week 10 showdown with Arroyo looms. 24. Damien (4-4) — Needs to upset Chino Hills. 25. La Salle (4-4) — Winless in wacky Angelus League.